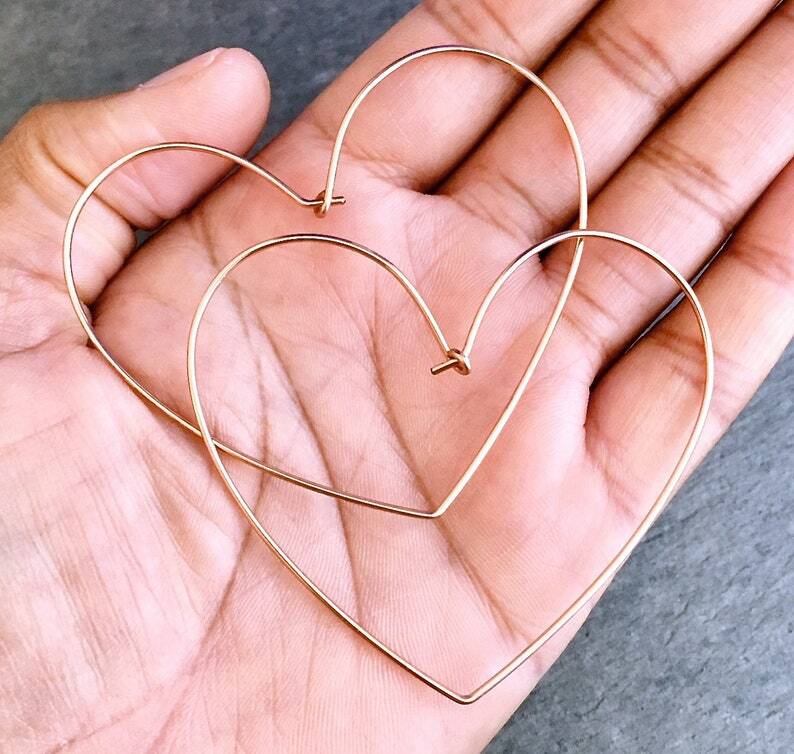 Your 14k solid gold heart hoop earrings are made from one piece of 19 gauge solid gold wire, bent into the shape of a heart. There is a closure at the end so it hooks into place on your ear. The closure hooks in at an angle so it stays firmer in your earlobe while you are wearing them. Wear them and open yourself to give and receive more love in your life. Perfect Valentine's Day gift treat to yourself or gift for a loved one. They measure about 2 1/2 inches wide and 2 1/4 inches long. They will arrive beautifully wrapped and ready for gift giving. Rose Gold Hoop Earrings. Large Teardrop Hoops. Hand Hammered Shiny Tear Drop Pink Gold Hoops.